Atlanta, GA 30324 Buckhead. Fulton County. Lindbergh & Cosmopolitan Dr. —Directions: From Peachtree Rd go South on Piedmont Rd. Turn Left on Lindbergh Way. Then Left on Adina Dr to Right on Cosmopolitan Dr.
Fee Simple, but shares amenities with Cosmopolitan condos. Gym facilities, HOA, Business Center, Conference Room, Swimming pool, Movie Theater & game room, walk to Marta Station, Walk to shopping and restaurants. New construction. Make me your Realtor for sales data and a market analysis. 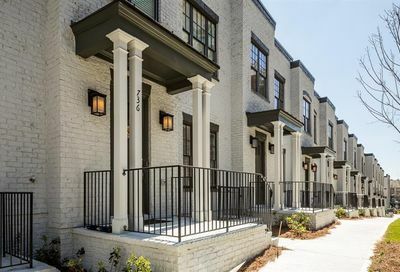 Brownstones at Cosmopolitan is a new community of townhomes in Buckhead-Atlanta GA being built by Rochhaven Homes. 3-story floor plans with 3 bedrooms, 2 car garages. Community is fee simple yet offers access to amenities in Cosmopolitan. Expect 10 foot ceiling on the main level, stainless steel appliances, quartz counter tops & Island in kitchen. ***If you are not already working with a Realtor I would be happy to supply you with additional information and inventory for this new community and other new communities not yet posted on this website. Put me to work for you! As your Buyer’s agent, my services are at no cost to you as the builder has already set aside a fee for Realtor to help you. Below, see reasons why you want me as your Buyer’s Agent. Homes “listed” for sale in Brownstones at Cosmopolitan are pictured below.